Some might be wondering where did Applicable2U go since the summer time. Yes, I have been “ed app missing in action” but have made a brief return for my friends at Artgig Apps. Over the last few months, Artgig Apps has been busy and certainly making their mark in the app world. 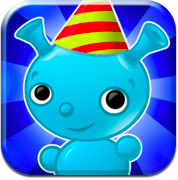 If you aren’t familiar with Artgig Apps, they are known for Shake-A-Phrase, Alien Buddies, Marble Math and Marble Math Jr. Recently, Common Sense Media and CTR (Children’s Technology Review) awarded Marble Math and Marble Math Jr. for excellence in design and “must have” apps on your device. Today the celebration continues as they launch in the App Store, Mystery Math Town. Mystery Math Town is intended to be used with children ages 6-12 years old. In order to visit this mysterious town, users must have an iPad device running iOS 5 or later. It’s perfect for home and school usage as it allows for multiple accounts and customization of user skills while meeting grade level Common Core State Standards. While on this island, players will use their mathematical knowledge of addition, subtraction and multiplication in order to unlock rooms, windows and secret passage ways. Your child(ren) will be completely engaged from the very beginning as they create their own quirky avatar. If any of my readers have been to Walt Disney World, Magic Kingdom lately, you may have noticed a new technical integration of talking paintings that guide you through the park in order to solve a mystery. While exploring Mystery Math Town on my device this memory of Magic Kingdom came to mind as I opened doors, zipped down stairs and interacted with talking paintings or animated objects within each room while doing math. Learn to build numerical sentences and fact families with numbers, dice, and tally marks. With a clean and easy to navigate design, users will be developing strategies and building their critical thinking skills along the way. Before your mystery can begin, users will not want to miss the chance to design their own avatar, swipe through a variety choices. What type of hat/hair, eyes or mouth will your child(ren) choose? Once created, no avatar is set in stone, it can be altered at anytime. Differentiate a players experience by selecting those skills that will be incorporated during their mystery. CCSS.Math.Content.1.OA.C.6 Add and subtract within 20, demonstrating fluency for addition and subtraction within 10. Use strategies such as counting on; making ten (e.g., 8 + 6 = 8 + 2 + 4 = 10 + 4 = 14); decomposing a number leading to a ten (e.g., 13 – 4 = 13 – 3 – 1 = 10 – 1 = 9); using the relationship between addition and subtraction (e.g., knowing that 8 + 4 = 12, one knows 12 – 8 = 4); and creating equivalent but easier or known sums (e.g., adding 6 + 7 by creating the known equivalent 6 + 6 + 1 = 12 + 1 = 13). 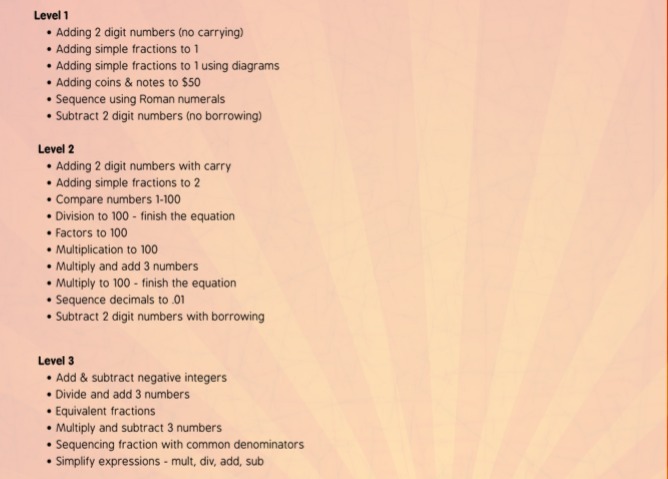 Yes, Mystery Math Town has been added to a large list of educational math apps. However, this truly is unlike any other math app that I have experienced. It is so much more than clicking the sum, difference or product. It’s about understanding properties of math, working with equations, and building fluency. Recently, I had a fourth grade student visit this mysterious town, at the end I asked him what he thought. He said, “This is an AWESOME app.” In addition, his classroom teacher was very impressed at how it meets the needs of students at grade level and those needing additional support within an inclusionary educational model. Take the time to download Mystery Math Town TODAY by simply clicking here. You won’t regret it! As summer nears, parents and educators will find readily available a list of recommended “summer reading” on school district and library webpages. Although it may be summer and school is out, ones love of reading should not disappear. Whether you are in school or out, reading should be apart of your daily routine. The way society reads has certainly changed over the years. Several years ago, in order to get access to the latest collection of books, individuals had to visit their local bookstore or library. Today’s bookstore or library has a very different feel, as you can visit it virtually now as an app on your mobile device or from your home computer via a web browser. Whether you are a MAC or PC person, everyone is familiar with Apples virtual library, iBooks. It is equipped with a large collection to choose from ranging in Arts & Entertainment, Parenting, Textbooks, and Science & Nature books. You might be wondering, what category do children’s literature fall under? Well wonder no more! As of late, we were introduced to the developers from LLC “Kinderbook”. Kinderbook apps is a team of unusual elves – a Commander, Librarian, Protector, and a Software Engineer. Together they launched back in April of this year KiddoBook. 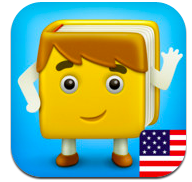 KiddoBook is the child’s version of a virtual/downloadable library much like iBook is for adults. It is compatible with your iPad device running iOS 3.2 or later. Currently, the Kiddobook central library app can be downloaded to your iPad in six different languages. Encourage your child ages 3-8 to love all types of books from fantasy, educational books and both classical and new stories with this free download. Books can be experienced in a variety of formats. Depending on your child’s reading level, they can be subtitled and read by professional actors, read by a parent or the child themselves. Each page is filled with beautiful illustrations, a variety of colorful details and vocabulary and lessons to be learned. It is important to note that those books viewed on your Kiddobook app are only interactive with the turn of every page. Navigate the story from beginning to end at your own pace as you stop to discussion various types of questions or predictions. Unlike other books read via your mobile device, Kiddobooks does not offer the option of highlighting words as they are read, however, it would certainly be a suggestion we would love to see added in a future update. For this review we downloaded both free ebooks, however, one book was on the top shelf, while the other was at the bottom. Is there anyway that all downloaded books could be organized together on one’s shelf? A great interactive idea to get the readers involved with organizing their own bookshelf would be to allow users to drag and drop books into place. An interesting way to make your bookshelf your own. Users could simply drag and drop books according to their favorites titles or story lines. Overall, we loved exploring KiddoBook for our iPad device. It is not unusual that a child will model what they see their parent(s) doing as they explore their mobile device. There is no need to stuff your travel bag, book bag or tote with tons of heavy books anymore. Instead, stuff your KiddoBook app virtual bookshelf with a variety of genre. Your back will thank you! If you would like to learn more about LLC “Kinderbook”, please visit their support page here. If the adults get access to iBooks, then why not add a similar, kid friendly version called KiddoBook to your iPad device today for free! To begin downloading, simply click here. This review will also be featured on Fun Educational Apps site along with several other detailed app reviews. Marble Math and Marble Math Jr.
On a daily basis I am amazed at how many things from my childhood are coming back into style. From the clothing and hair styles that my students wear to the games that they are playing with. Games come in all formats and the most popular are those found on your mobile device. If you are familiar with Applicable2U, then you know my students and child game for a reason. Educational apps need to meet curriculum needs as it applies to those grade level standards and of course their exposure needs to also keep my audience engaged while having fun! Today’s review brings back marbles, mazes which move, a hint of pinball and math all in one. Artgig Apps are no stranger to the app world with such app titles as Being Benny, Shake A Phrase, Alien Buddies and now two math applications, Marble Math and Marble Math Jr. Each with a similar design but targets two age level populations. 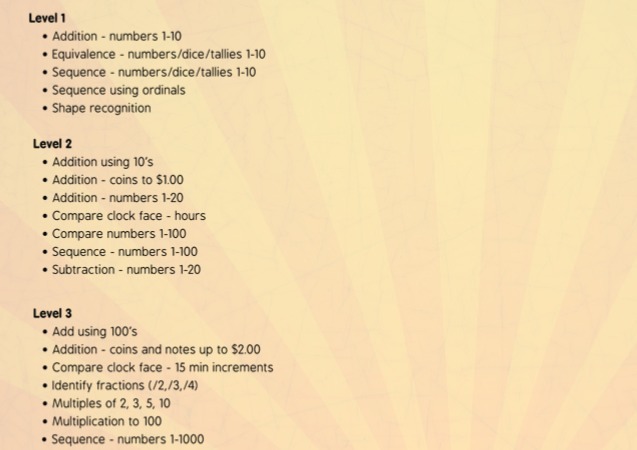 Marble Math focuses on core math concepts for those ages 9-12. 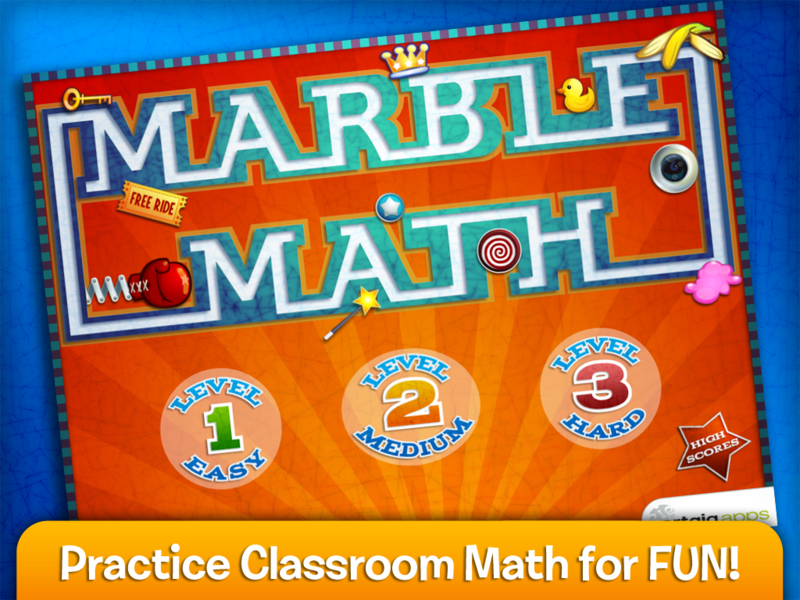 While Marble Math Jr. focuses on those core math skills for ages 5-8. Both are designed for your iPad and iPhone device running iOS 4.0 or later. Navigate yourself through leveled mazes as you collect mathematical answers and hidden treasures but be sure to stay away from a few unwanted hiccups. Both versions of Marble Math are equipped with a clean, easy to navigate design. Very quickly you can individualize your child’s experience from the main menu by selecting the cogwheel and wrench icons. Developers have included two ways to “play”. Depending on your child’s learning needs, they can roll a colorful marble with the touch of their finger or the motion of their iPad. Turn stumbling blocks like a boxing glove, banana peel or blob of goo on or off. Each application is pre-installed with a large collection of marbles, however, only one is unlocked. Unlock additional marbles by simply collecting correct answers and finding the end to each maze board. Experience math in a playful way over the course of three levels; easy, medium or hard. Not sure which level your child or student may fall into? Not to worry! Get an educational map of concepts by clicking on the wrench icon from the main menu. Customize your child’s learning experience by selecting those areas in need of reinforcement or mastery. 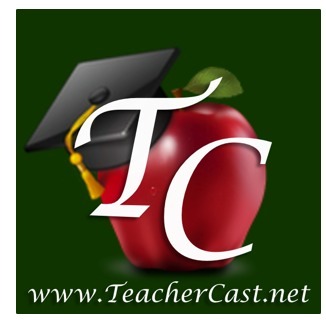 Each educational app is equipped with academically appropriate skills. At the completion of games, your child’s scores are recorded for each level in a table format. As levels or skills are repeated, see how your child’s score increases over time. A note to the developers – in a future update, might it be possible to provide parents and/or educators a more detailed report. This would inform future instruction and reinforcement. In addition, have you thought to provide multiple user accounts for those homes which have only one device but multiple children or schools with a limited number of devices in a classroom environment. Regardless of which version of Marble Math you download, marble manipulation and screen view is similar. At the top of the screen users will find the question. Most of the screen is devoted to the maze. As answers are collected, they will be dropped to the blank strip at the bottom, acting like a “show work” area. In addition, users will be able to keep an eye on the number of lives they have left, 3 is the norm, but additional lives can be collected. A note to the developers – when exploring in Marble Math Jr. might it be possible to include a question reading option if working independently and reading has not been mastered. Whether you use your finger tip to roll your marble around the maze or the motion of your iPad, if an incorrect answer is selected a pop up window will appear. Here users will be able to “try again, show me, or move onto the next question.” It appears that your collected score will not be effected when incorrect answers are chosen. If a user chooses to try again, they will be given another chance at the same question which caused them problems. Repetition of skills is the key to ones success! To support all learning styles, developers have chosen not to include a timing feature. While playing online or mobile device games, some students find a countdown clock frustrating and distracting. However, in order to challenge some students, those “high flyers”, a timing option might be just what they are looking for in the later elementary years. Overall, Applicable2U would give Marble Math and Marble Math Jr. two thumbs up! Although we have provided some suggestions, it is still very engaging, interactive and academically appropriate for your child ages 5-12. How many free rides, crowns, or magic wands will your son or daughter collect while recognizing numbers, exploring operations, and building their awareness of time, fractions and money? If you would like to learn more about Artgig Apps, please visit their website here. To begin building your academic marble collection, download Marble Math TODAY for only $1.99 by simply clicking here. Marble Math Jr. can be downloaded by clicking here.